Lilly's Life: What is your Mt Everest? 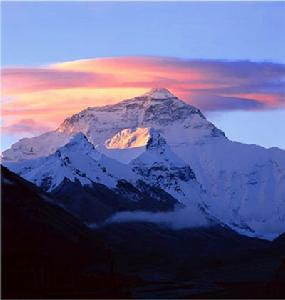 What is your Mt Everest? As I sit curled up on the sofa with a glass of Shiraz in hand, the TV news is reporting that a 68 year old Australian woman has just conquered Mt Everest on her third attempt. Apparently she would have been the world’s oldest woman to achieve this feat but unfortunately an equally as adventurous 73 year old Japanese woman beat her to it by a few days. What kind of person, let alone one 20 years my senior, wakes up one day and decides that they should risk their life and limbs just so they can climb some big mountain in freezing temperatures? Risking death, frostbite, hypothermia, snow blindness and acute mountain sickness as they do it. Obviously there are some people who wake up and say, “I will die happy having scaled the highest mountain in the world” and others, who shall remain nameless, who wake up and say, “I will die happy having perfected the lightest sponge cake in the world”. Don’t get me wrong, I really admire people pushing the limits and living on the edge. I just don't necessarily 'get it'. What is this adrenalin rush these adventure seeking individuals speak of? I was born risk adverse and must have been standing in the shallow end of the pool when the adventure gene was handed out. Being adventurous for me is leaving the house in blue eye shadow and wearing a low cut top. Risky behaviour would be leaving the house in a pair of brightly coloured crocs (no on second thoughts crocks crocs are not adventurous they are a universal sign that you have completely given up on life). I don't seek out adventure but it has definitely sought me out...and frequently. If I ever found myself on Mt Everest it would be because I lent on a faulty plane door and fell out. I am one of those accidental adventurers. In fact my lack of courage to fling myself off buildings or out of planes has worked against me in life. Simply because my fear of most things annoys the hell out of those around me. Hence I tend to get pushed into things when I least expect it. Do you remember when my friend pysically pushed me onto a dodgy chair lift over the Isle of Capri? She laughed and I cried mainly because I lost my new shoes in some poor Italian's vegetable garden as I travelled precipitously overhead. However, this wine is clearly giving me some courage. What is stopping me from doing something like that? I think that now I'm officially on the slippery slide into old age I am finally ready to make peace with my fear and do something more adventurous than baking. I am going to do "something" I am terrified to do. I have decided to SKY DIVE! Well I was pretty certain about that for about 10 minutes at least, until the end of the News. So blogging friends, any ideas for what I should do instead? I've perfected the sponge cake and now I need to up the ante a bit. Put your ideas out there …what adventurous thing have you done or what is on your bucket list to try? Clearly its the only way to make the news - some old bird doing something no-one expects. LOL, LOL....Great Post, Lilly....When I read about that woman almost falling out of her harness while Sky Diving---Well....I have absolutely no adventurous spirit like that---and never did---the most adventrurous thing I have ever done was some of the scary rides at Coney Island--and I was just a kid---like "The Parachute Jump"...I did it once and never again! omg Lilly, you had me going there for a minute...skydiving! lol. I'm one of those no-fun people with no sense of adventure myself! I try to keep things as calm as possible in my life. I do admire those adventurous fun people however. I once went white water rafting in my twenties and ziplining through the trees more recently...none of which I enjoyed! Most adventurous thing I've done is parasailing in Hawaii (would do it again in a heartbeat!) and taking a helicopter ride in Red Rock country (Arizona). Ok, you might think a helicopter ride isn't adventurous, but this helicopter didn't have doors on the side and the pilot hot dogged the ride (it was like a roller coaster ride - great). I would SOOOOO love to do sky diving. It's something my husband wants to one day try to. Who knows, when we get to be 70?? The most adventurous thing I've done ~~ hot air ballooning over the Colorado Rockies! I am terrified of heights. For me it was going to college at the age of 40 something (1993-1995). I carried around paper sandwich bags for months, to breathe into, because I kept hyperventilating. Making the news for these types of reasons is not good reasoning. I will die happy having eaten the lightest sponge cake in the world with fresh strawberries. Years ago I soared through the sky without an engine. I went up in a two person glider. Loved it. Also learned that my hidden flying skill is very very well hidden. I couldn't find it. The other seat was occupied by a pilot thank God. We saw that tandem skydiver story on the news. Seriously that company should be put out of business. They failed to check the lady's straps. There are many "adventurers" (mindless idiots) who do things that force a rescue team into risking their lives. Now I need to get back to my homemade rocket chair. ha, you're such a breath of fresh air... lets see- I rode an elephant when I was 5... I got chased out of a hotel by the KGB in Russia when I hung out with the "wrong" crowd of cool kids... I climbed to the top of Notre Dame- yes there were steps, but c'mon, they were in the dark and really winding around and around :) I rode space mountain for my first and last roller coaster... there has to be something in there bucket-list worthy, right? I would send you a sponge cake in the mail if it was possible, lol. Now gliding looks so peaceful and I bet you were glad that you had a pilot with you. Home made rocket chair, he he. Well done you Beth. Congratulations on your achievement. When my mother graduated from university (she was an older student too but had already studied before) I met a lady who was in her late 70s. She had married young and had had 6 children. Her husband died and her kids asked her what she wanted to do. They thought she would say that she wanted to move into a retirement village. Instead she said she wanted to go to university. She had to battle to do it but got in finally. And apparently she was a brilliant student too. We are never too old to achieve our dreams and as you know 40 is the new 20 anyway these days. That sounds a wonderful experience Helen, well done you! Excellent post! Yea, recall that news clip about granny changing her mind at the last minute. I'm scared of heights, no way am I game for a dive. My bucket list is a lot more staid, Machu Picchu, Pyramids (when Smartraveller removes the warning) and the Greek Acropolis (could buy it with my Aussie! )...and food. Eat my way round the globe! A little more staid hey? You could buy Greece in its entirity (sp??) at the moment. Eating your way around the globe sounds amazing. Now that sounds like one I could pinch for my bucket list. Kathy, I like your style! It sure does count. I think ziplining through the trees recently is adventurous Christine.... and can't say I would enjoy it either but hey at least you did it! I love anything adventurous and have doen rock climbing, white water rafting, hang gliding, parachuting, hot air ballooning, chair lifts in various forms, every them park ride I can imagine, snorkelling, swimming with sharks.....and eating your cooking. Ohhhhh Lilly, you have opened a can of worms here... So much so that you gave me an idea for 'my blog' (Thanks). How anyone could fly through the air and head earthwards at a zillion miles an hour is totally crazy to me. But there again I am a coward of the first order and am scared of the day that's never dawned ! Good luck on doing something adventurous, as for me well... NO WAY JOSE !! Oh I am intrigued about what you are going to blog about now. I shall be over to check it out Kate. Oh you rotten cow, ha ha ha. Ok you are adventurous I will give you that. You inspire me.....to stay on the couch, lol. Haaaaaaaaaaaaaaaaaa, you are game when you are 24 hours away by plane. So very funny. I like the sedate life myself and as less stress as possible. Although a lot of your commenters here are clearly the adventurous type. I couldn't hear the video but what I saw was horrifying. What sort of nut case WANTS to fall out of a plane and endure sheer terror? No thank you. Lilly, I gotta tell you that my idea of being adventurous now extends to going out to the pool wearing a one piece bathing suit rather than covering up from head to toe (lol). Or maybe... not shaving my legs for a month - and being indifferent to the grossed out glances of everyone under 40 years old. Or EVEN, gasp, traveling by myself! Yes ma'am that's me on the wild side, eating dinner in a yummy restaurant by myself, sleeping solo in a hotel room, having a car and driver pick only ME up to go from place to place - and smugly pleased that everyone's wondering WTF, where is the hubs -- and there isn't one?!? ((HUGS)) you wild colored croc girl, you:)! You are my hero and so very funny lol. Well done to you and I cannot wait to hear about your trip!! I am all for the sedate life but once, maybe it would be good to try something different. I'm with you all the way, Lilly. I could never understand why my husband and son feel they have to climb mountains. When they decided to do Kilimanjaro, I said, "I'll stay home. And if you die, I'll kill you." The most adventurous thing I did was letting my son con me into entering one of those plastic hamster ball like things on the water in Waikiki. Yuuuuuck! Bucket list? Nothing adventurous, thank you! Wow, they climbed Kilimanjaro? I am impressed Kay. Come back to Edinburgh, Lilly. Walk into the Harp & Castle pub in Leith Walk wearing a tee-shirt emblazoned with 'Hearts 2012 Scottish Cup Winners'. That would be brave! You and I are soooo much alike, Lilly. I rarely even use the word "adventure" anymore. Glad you nixed the skydiving. I saw that granny video and OMG I'm surprised that woman didn't die of a heart attack before she landed. And when I was about 25 I took a skydiving lesson and was all ready to jump.... until the guy ahead of me, well.... let's just say it was not pretty and I did not skydive, EVER. I thought long and hard about what my last "adventure" was. My first thought was getting married-- 19 years ago. Then I remembered I did a cannonball into the swimming pool last year and decided that counted as two-- One for wearing a bathing suit and one for taking the dare to jump into the pool. Does that count? www.lillyslife.com will be the perfect blog for anyone who wants to know about this subject. You know a lot its practically difficult to argue with you (not that I really would want). You absolutely set a whole new spin on a topic thats been written about for years. Fantastic things, just excellent! Yes in my book it counts Joanna. French pastry class in Paris sounds perfect. Ha Mike brave or stupid? Love it! Thanks for the laughter and joy as always. Wearing a bathing suit - would be adventurous of me. I'm trying to get to the point where I don't give a hoot and will just do it. Small hikes have been my most recent adventures. I'm not an outdoorsy type - except for walking on paths at all. My husband and his cousin's have been trying to get me to go sailing (in a small boat), so I might try that. I really want to dance again and find a partner to learn to tango and salsa with....not my husband - we don't mesh in that department. That adventure might lead to a divorce, however. Think back, I have had some exploits that will keep me smiling in my old age. Adventure sof a different sort. Wowzer, I will do nothing that could put me in the arms of Jesus sooner than i need to be..lol. I'm a very chicken type personality. I'm brave if I drive from state to state! I'm doing ok Lily, how are you? i go for scans again end of this month....YUCK! Lilly, I had thought that the comments on this subject were closed and after I had read your comment you left on my blog I wrote an explanation there explaning why my posts were invisible ... So have a decco - I'm saying nothing more about my flippen PC until I can afford to buy another one.... Though, God knows how I will content meself with not being able to post on my blog and play around on the net I've no idea !!! I think I probably will end up a lunatic before I can afford another PC aaarrrgghhh! Wearing a bathing suit would be a crime against the community for me lol. Oh I would like to hear about your adventures of another sort but so glad they will keep you smiling for a long time to come. That is what living is all about. If you want to read the invisible posts on my blog just left click hold and scroll downwards and voila like magic the post appears before yer peepers ! Cheers Kate x.
I am so sorry for the captcha headache - it kept happenning, I kept asking the blog guy to fix it, and I got exasperated and just finally removed it today altogether! Now I have to go figure out why twitter isn't working - I apologize for all the inconvenience, and am glad you didn't bail on me because of it!